IQ Option, Skrill, Neteller ගිණුම් Sri Lanka National ID Card එකෙන් Verify කරගන්නේ කොහොමද? ලන්කාවේ ගොඩක් දෙනෙකුට තියන ප්‍රශ්නයක් තමයි IQ Option, Skrill, Neteller ගිණුම්Verify කරගන්න අවශ්‍ය Driving Licence එක හරි Passport එක හරි නැති එක. අද මම කියල දෙන්නම් ඒ මොකුත් නැතුව ඔයාලගේ මේ ඔක්කොම Sri Lanka National ID Card එකෙන් Verify කරගන්න හැටි. ඔයාල දැනට හදල තියන Account National ID Card එකේ විදිහට හරියට හදල නැත්තන් පහල මම දාල තියන පෝස්ට් වලට ගිහින් ඒ විදිහට හරියට Account එක හදාගන ඉන්න. මතක ඇතුව අලුත් E-mail එකක් දෙන්න පරන Account එක හදපු එකෙන් ආපහු හදන්න බෑ. 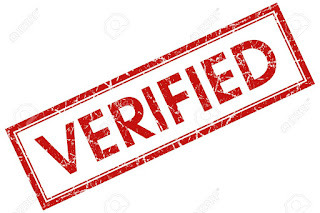 කලින් Account Verify කරල නැති හින්ද ප්‍රශ්නයක් වෙන්නෙ නෑ..
1.Free IQ Option ගිණුමක් සාදාගන්නේ කොහොමද? 2.Free Skrill ගිණුමක් සාදාගන්නේ කොහොමද? 3.Free Neteller ගිණුමක් සාදාගන්නේ කොහොමද? 1. මුලින්ම ඔයාලගෙ National ID Card එකේ දෙපැත්ත හොදට පැහැදිලිව පේන්න Scan කරගන්න, Photo එකක් ගන්නවනම් හොද පැහැදිලිව ගන්න මතක තියාගන්න. 2. ඊලගට ඔයාල හරියට හදාගත්තු Account එකට අදාල E-mail එකේ පහල තියන විදිහට Type කරන්න. I haven’t Driving licence or Passport, I have only Sri Lankan Government issued National ID Card only. I attached a copy of both side my National ID Card in this mail and i translated details in English below. please be kind to verify my account..
Free IQ Option ගිණුමක් සාදාගන්නේ කොහොමද?